SAN JOSE, CANovember 23, 2010OCZ Technology Group, Inc. (Nasdaq:OCZ), a leading provider of high-performance solid-state drives (SSDs) and memory modules for computing devices and systems, unveils new Xtreme Thermal Exchange (XTE) and Blade 2 high-speed desktop memory, providing the optimal balance of blazing DDR3 performance and cooling efficiency in one solution. Committed to staying ahead of the curve in the high performance segment of the memory market, OCZ is offering high-end memory that keeps pace with intensive overclocking, gaming, and other high-productivity computing environments. 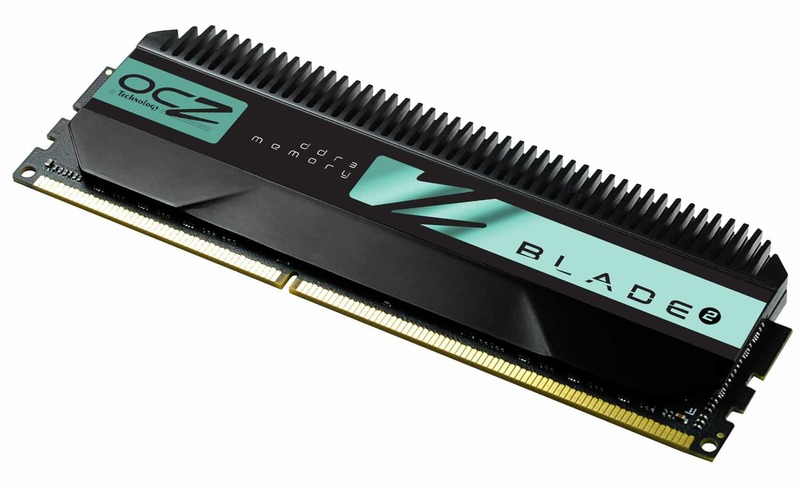 Building on our previous lines of enthusiast overclocking memory, the new XTE and Blade 2 DDR3 memory series are designed to set the benchmark once again and deliver the ultimate in performance and stability, said Alex Mei, CMO of OCZ Technology Group. Featuring new compact, yet highly efficient heatspreader designs, these hand-tested kits are the ideal solution for overclockers gaming and productivity applications, and are optimized for the latest generation of platforms from Intel and AMD. Developed for next generation platforms that take advantage of extreme speeds, OCZ XTE and Blade 2 solutions are the choice counterparts for leading-edge performance and reliability, meeting the demand for high-speed AMD AM3, Intel Core i3, i5, and i7 processors. With an ideal combination of frequency and low latency, OCZs latest 6GB and 4GB memory kits are specifically designed and qualified on a range of motherboards supporting enhanced clock speeds beyond typical JEDEC profiles. 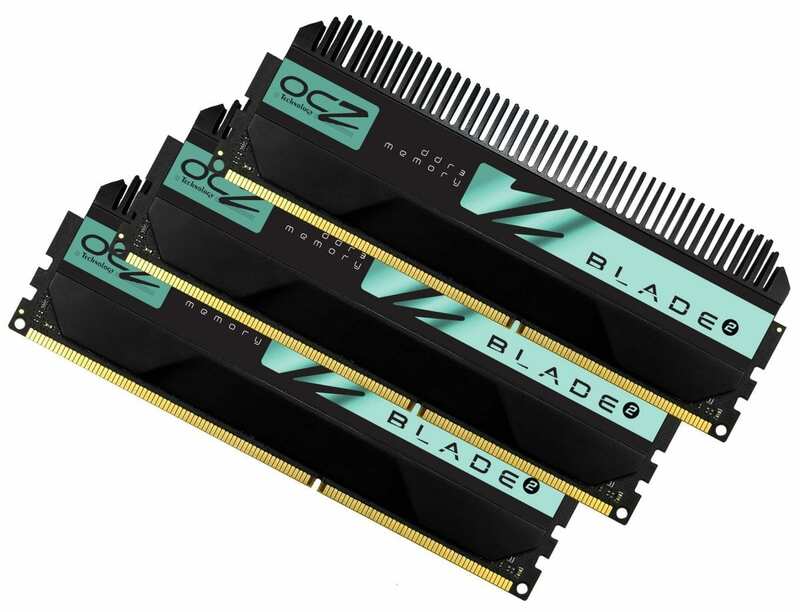 OCZs XTE and Blade 2 triple-channel and dual-channel kits are available in PC3-19200, PC3-17000, PC3-16000, and PC3-12800 speed ratings, and are 100% hand-tested for quality assurance. Furthermore, each OCZ module is backed by the OCZ Lifetime Warranty and industry-leading technical support for unparalleled peace of mind. Founded in 2002, San Jose, CA-based OCZ Technology Group, Inc. (“OCZ”), is a leader in the design, manufacturing, and distribution of high performance and reliable Solid State Drives (SSDs) and premium computer components. OCZ has built on its expertise in high-speed memory to become a leader in the SSD market, a technology that competes with traditional rotating magnetic hard disk drives (HDDs). SSDs are faster, more reliable, generate less heat and use significantly less power than the HDDs used in the majority of computers today. In addition to SSD technology, OCZ also offers high performance components for computing devices and systems, including enterprise-class power management products as well as leading-edge computer gaming solutions. For more information, please visit: www.ocztechnology.com. Certain statements in this release relate to future events and expectations and as such constitute forward-looking statements involving known and unknown factors that may cause actual results of OCZ Technology Group, Inc. to be different from those expressed or implied in the forward-looking statements. In this context, words such as will, would, expect, anticipate, should or other similar words and phrases often identify forward-looking statements made on behalf of OCZ. It is important to note that actual results of OCZ may differ materially from those described or implied in such forward-looking statements based on a number of factors and uncertainties, including, but not limited to, market acceptance of OCZs products and OCZs ability to continually develop enhanced products; adverse changes both in the general macro-economic environment as well as in the industries OCZ serves, including computer manufacturing, traditional and online retailers, information storage, internet search and content providers and computer system integrators; OCZs ability to efficiently manage material and inventory, including integrated circuit chip costs and freight costs; and OCZs ability to generate cash from operations, secure external funding for its operations and manage its liquidity needs. Other general economic, business and financing conditions and factors are described in more detail in Item 1A Risk Factors in Part II in OCZs Quarterly Report on Form 10-Q filed with the SEC on January 14, 2010. The filing is available both at www.sec.gov as well as via OCZs website at www.ocztechnology.com. OCZ does not undertake to update its forward-looking statements.